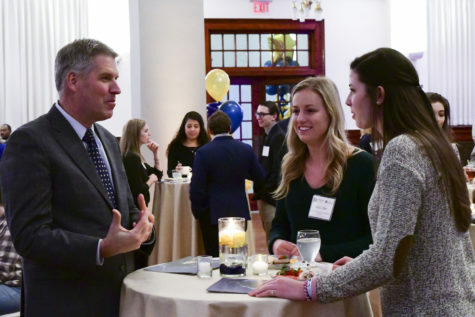 As the University community begins a new year and Patrick Gallgher starts his second semester as Chancellor, some of Pitt’s senior leaders will start new stages of their lives. Rush Miller, director of the University Library System, and Jerome Cochran, executive vice chancellor, announced last year that they would retire, effective Dec. 31, 2014. 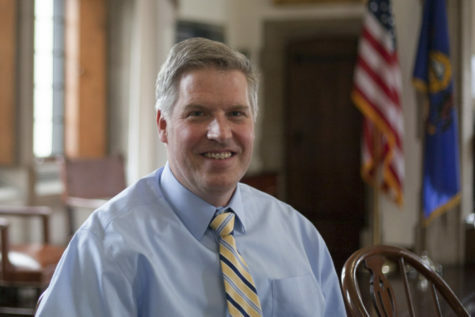 John Delaney, dean of the Joseph M. Katz Graduate School of Business and the College of Business Administration, also announced on Sep. 11, 2014, that he will step down from his position as dean and return to the faculty of both schools as soon as a replacement is found. According to the press release, a search committee should name Delaney’s replacement by next spring. According to Doug Lederman, editor of Inside Higher Ed — a website that provides opinions, news and job information for people involved in higher education — changes in senior leadership at universities, in general, are common when a new chancellor is hired. “How fast [changes occur] varies from place to place,” Lederman said in a phone interview. He said the speed of changes can also be affected by whether replacements are coming from outside or inside the university. Lederman said a “total change of direction” is unusual and that continuity is more common, but change can be beneficial. One reason for changes in senior leadership, Lederman said, is to complement a chancellor’s new priorities, if applicable. Lederman said new positions and job titles can often show what kind of direction the university will move in. With Chancellor Gallagher, who was appointed by the Board of Trustees on Aug. 1, that direction looks to create stronger community ties. 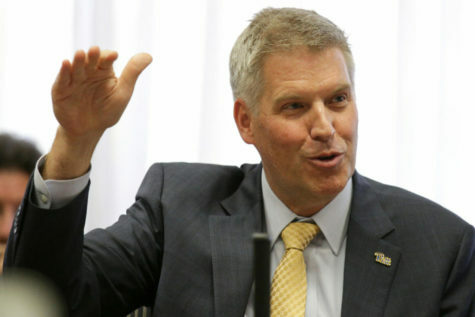 Chancellor Gallagher told The Pitt News in August that his priorities include strengthening Pitt’s relationships with outside agencies, including the University of Pittsburgh Medical Center, Carnegie Mellon University, private business, Pittsburgh’s city government and both the state and federal government. 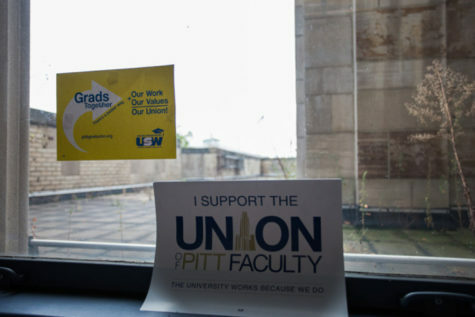 He told The Pitt News in October that he hopes to utilize those relationships to ease the financial burden on students by partnering up with other agencies and universities. 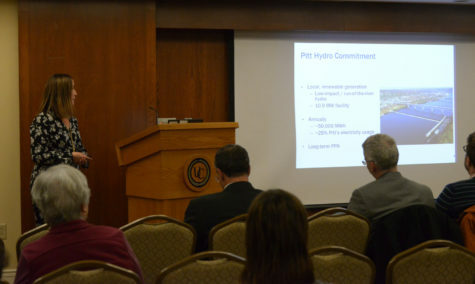 However, Lederman said it might be too early to say that Pitt is changing its entire senior leadership. He suggested “wait[ing] a few months,” then looking to see who else might’ve retired or stepped down. 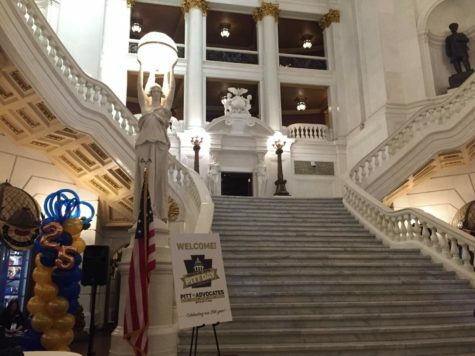 Miller, Delaney and Cochran all said they were retiring for reasons unrelated to Chancellor Emeritus Mark Nordenberg’s retirement, effective Aug. 1. Both Miller and Delaney’s positions are going to be filled based on the results of two separate search committees. According to Oct. 7 meeting minutes of the Faculty Assembly of the University Senate, Sheila Corrall of Pitt’s School of Information Sciences, Mark Lynn Anderson of Pitt’s Department of English and Andrew Strathern of Pitt’s Department of Anthropology were the elected members of the search committee to find Miller’s replacement. Per the University Senate’s “Guidelines for Search Committees for Senior Academic Administrators,” Corrall, Anderson and Strathern were elected by a nominating committee selected by the president of the University Senate. 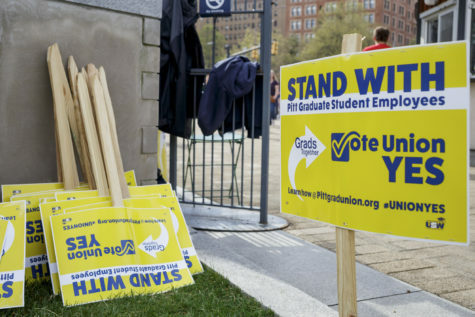 The guidelines also state half of the committee must consist of ULS librarians, one person of the Staff Association Council, one graduate student from Pitt’s Oakland campus, an undergraduate from the Dietrich School of Arts and Sciences and an undergraduate from the College of General Studies, appointed by their respective governing bodies. The guidelines say “if necessary” there could be 15 or more total members of Miller’s committee. Committees in general have seven to 12 members, unless the committee is searching for a provost, senior vice chancellor for Health Sciences or director of the University Library System. The search committee to replace Delaney began open forums on Nov. 18, 2014. 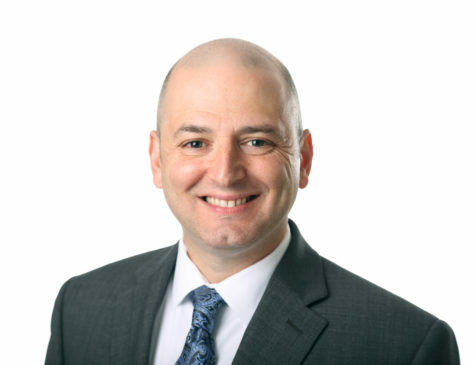 Cochran’s replacement, temporarily, is Art Ramicone, who is currently the University’s chief financial officer, according to the October 2014 release. Ramicone’s title will be interim executive vice chancellor. Fedele said the posts of executive vice chancellor and chief financial officer are similar. “They are both senior administrative positions dealing with business and finance, and supervise professionals in those areas,” Fedele said in an email. University spokesman John Fedele said Delaney and Cochran’s stepping down and retirement, respectively, were not related. Cochran said he retired later in life than he previously intended. “I’m now halfway between 65 and 66, and I’ve worked longer than I’ve planned,” Cochran said. 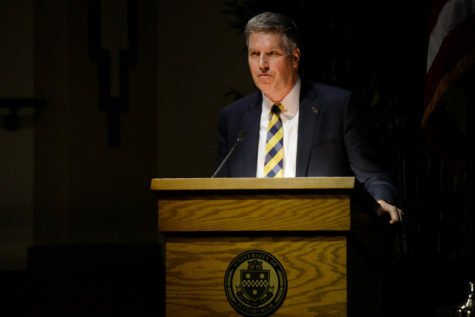 “While the timing of my decision and the retirement of Chancellor Emeritus Nordenberg are purely coincidental, the change at Katz/CBA does give Chancellor Gallagher an opportunity to help shape his leadership team and that is a good thing for the University,” Delaney said in an email.